Advances in therapies to treat cystic fibrosis have resulted in a dramatic extension in the expected lifespan of people born with the genetic disease. Seventy years ago children with cystic fibrosis seldom lived long enough to enter kindergarten. Now the average lifespan is 40. As the lifespan of people with CF has increased, so has the knowledge of symptoms that can accompany the disease. Rowena Woode, DVM, wants to know why adults with CF are susceptible to cancer of the gastrointestinal tract. Woode, a 2016 graduate of the Mizzou College of Veterinary Medicine, is pursuing a PhD in biomedical sciences. 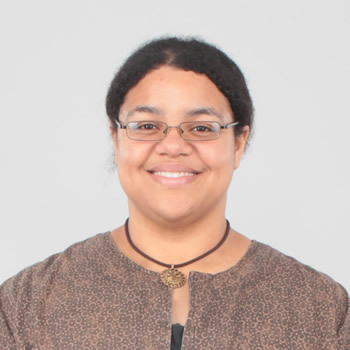 She is working the lab of CVM Professor and Dalton Cardiovascular Research Center investigator Lane Clark, DVM, MS. She came to MU after attending Missouri State University in Springfield, where she began her undergraduate studies intending to pursue art and creative writing. “Through self-discovery I learned that something I liked to do as a hobby wasn’t something I wanted to do professionally,” she said. With a long-standing interest in animals, she changed majors and ultimately earned a bachelor’s degree in animal science. Once at the CVM, she applied for the Elmer and Virginia Florman Scholarship and became the college’s first recipient of the award that fully funds the education of one CVM student every four years. St. Louis resident Virginia Florman recognized the economic challenges facing aspiring veterinary students. 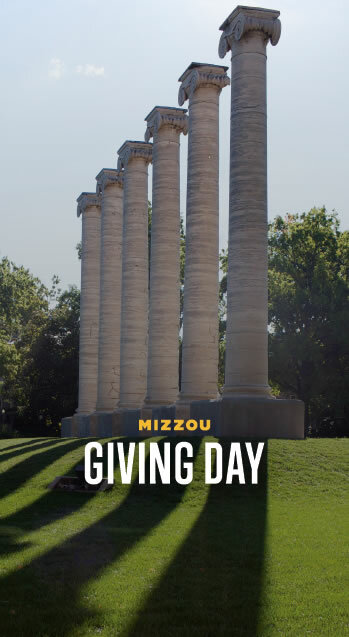 Grateful to her veterinarian, Michael Buchheit, DVM, for the care he provided to her family pets through the years and mindful of the sacrifices he had made to put himself through the professional veterinary curriculum at Mizzou, Florman included a scholarship in her estate plan. On average, the national student loan debt for new veterinarians totals more than $150,000, an amount that has been increasing steadily from year to year. With average starting salaries of $66,000, the debt to income ratio remains a concern to the veterinary profession hoping to entice the best and brightest to its ranks. Please consider a gift to support veterinary scholarships.